On Thursday morning, senators began reading the FBI report on its investigation into Brett Kavanaugh, and Senate Judiciary Committee Chairman Chuck Grassley said there is “no hint of misconduct” on the part of the Supreme Court nominee. 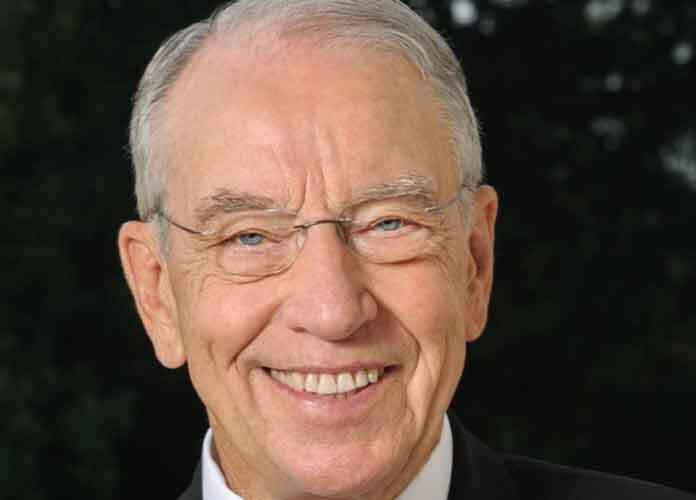 In a statement, Iowa Republican Grassley said of the report, “there’s nothing in it that we didn’t already know.” The chairman added federal investigators were unable to find any individuals who could “attest to any of the allegations” against 53-year-old Kavanaugh, all of which the judge continues to deny. Following the testimonies from Kavanaugh and his first accuser Dr. Christine Blasey Ford last week, President Donald Trump and many senators called for an FBI investigation into the claims made against the Supreme Court nominee, although several Democratic lawmakers quickly criticized this probe for its limited scope. Senate Majority Leader Mitch McConnell (R-Kentucky), said this week he plans to keep the FBI’s new report private, and a vote to confirm Kavanaugh has been scheduled for Friday. Many of the judge’s former high school or college friends and classmates have come forward to say Kavanaugh was not truthful about his history of alcohol consumption during his younger years. “This is ripping our country apart,” Sen. Jeff Flake said of the case surrounding Kavanaugh in an interview on CBS’s 60 Minutes. Flake, an Arizona Republican who is not seeking re-election this year, is considered a swing vote on Kavanaugh’s confirmation. Although he initially said on Friday that he would vote to approve the Supreme Court pick, he quickly changed course that same day and pushed for an FBI inquiry after two sexual assault survivors confronted him in a Senate elevator. The investigation has been further marred by Trump’s mockery of Ford at a rally in Mississippi on Tuesday, a move that sparked chants of “lock her up!” from his supporters and drew severe criticism in the media and from lawmakers like Flake and Maine Sen. Susan Collins, another GOP moderate viewed as a swing vote on Kavanaugh. Flake noted, however, that Trump’s attack on Ford would not sway his vote.